Disclosure: I was not compensated monetarily for this post. I have received complimentary product and gift card. All opinions are my own. Grilling season is here and for some people grilling comes really easy. 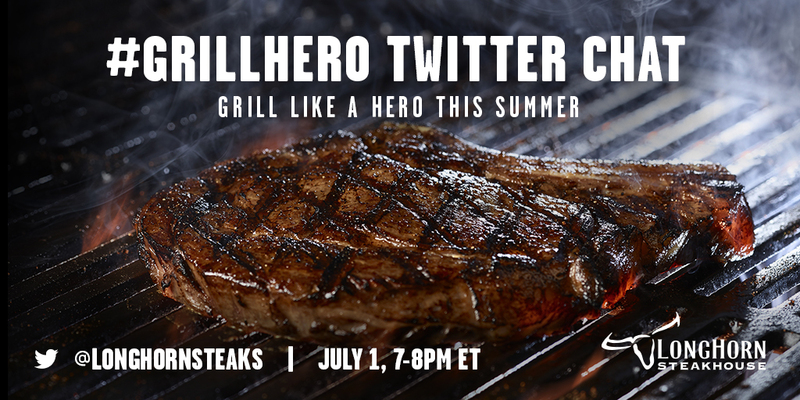 For others, like me, questions arise when I am contemplating preparing dinner on the grill. Should I use direct or indirect heat? What's the best way to keep the food from sticking? At what point should I add the sauce to the meat? What seasonings will work best on pork? Is it ok to put this meat on frozen or should I thaw it? Are the flames supposed to be that big? :) Those kinds of things. 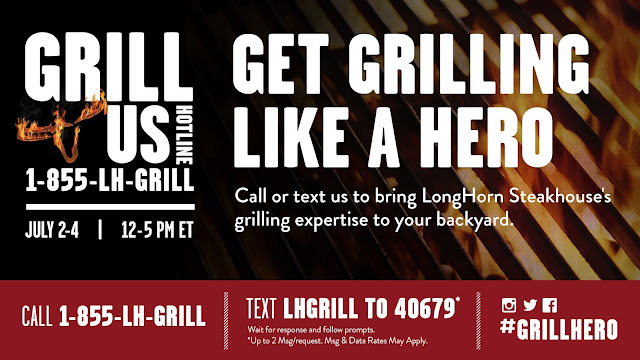 LongHorn Steakhouse wants to help you out with all your grilling questions this season. There's three ways you can some answers and learn a few expert tips as you gear up for your big 4th of July barbecue. For tips, tricks, recipes and more, visit LongHorn's newly launched microsite, ExpertGriller.com. Also, stay tuned to Chicago Foodie Sisters as we'll be sharing a summer grill recipe and hosting a great grilling giveaway from our friends at LongHorn Steakhouse.